Want to know if you have heart disease? Like it or not, one way to find out is to weigh your weight. If you are not satisfied with the results of the scales, you are not alone. Even though people are obsessed with being thin, more and more people today are heavier and less active than people of old. Even in the United States, more than half of the population is overweight. Not just a matter of confidence, being overweight can affect the heart. If you feel that you are overweight, you can reduce your risk by reducing weight that will help the heart. What is the excess weight? Perceptions of fat and thin can change over time. For objective calculations, doctors use body mass index (BMI) measurements. A person with a height of 177 cm and weighing 80 kg includes a maximum body healthy limit. However, an excess of 15 kg can make a BMI to 30, which indicates a serious weight problem. In people weighing 110 kg, the person will reach a BMI of 35 and includes severe obesity. The main drawback of the main measurement of BMI is that BMI cannot distinguish fat from muscle. A soccer player with a height of 182 cm can have a BMI above 30, but he does not include being overweight. But if the excess weight comes from fat, not muscle, a small increase in BMI can make a big difference to the heart. Research on nearly 116,000 nurses in the Journal of the American Medical Association found that women who were overweight (BMI between 25 and 28.9) were twice as likely to develop coronary heart disease compared to slim women (BMIs below 21). For women with a BMI above 29, the risk is almost 4 times greater. A study of more than 29,000 adult men found that having a BMI weight between 25 and 29, caused a 70% increase in coronary heart disease. In addition, the researchers gave more evidence that being overweight is bad for the heart. In studies with more than 5,000 participants, the risk of heart failure increased by one point (around 2-4 kg) in the participant BMI. Men experience a 5% risk of increasing BMI points and women by 7%. In general, researchers found the risk of heart failure was 34% higher in overweight individuals and 104% higher in obese people. Over the past 40 years, there has been an increase in obesity, which is associated with overeating, increased consumption of ready-to-eat food, and a lifestyle that makes a person rarely walk. How can be overweight harm your heart? A larger body needs more blood. When you gain weight, your heart will pump more blood than before. Instead of beating more often, the heart will get bigger so it can drain more blood at each beat. Increased blood flow can cause high blood pressure, which is a major cause of heart disease. Although blood pressure does not increase, the heart can suffer an increased workload. When the heart space is enlarged, the ability to squeeze is reduced. In the end, the heart cannot bleed at every heartbeat. When blood begins to stagnate in the heart, you can experience congestive heart failure. Excess body fat can lead to other changes in the body that increase the risk of heart problems. 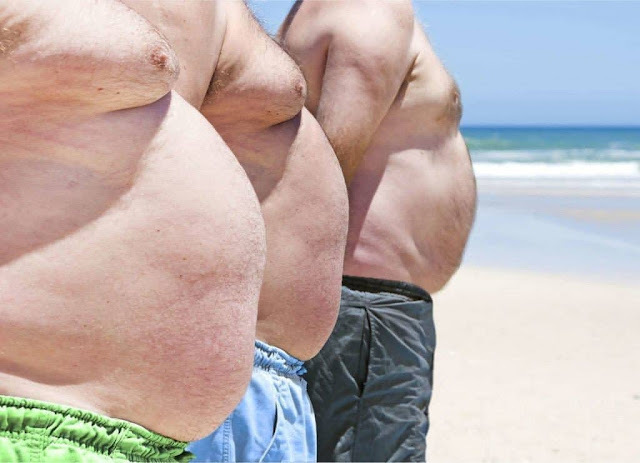 If fat is spread in the middle, the risk is higher: measurement of waist circumference of more than 89 cm in women and 102 cm in men increases the risk of cardiovascular disease. High abdominal fat levels can blunt the effects of insulin, making you susceptible to type 2 diabetes, a very threatening condition of the heart. People with excess weight often have high levels of LDL cholesterol. Too much cholesterol that clogs arteries or atherosclerosis, can cause heart attacks or strokes. Being overweight can also be a sign that you are hurting your heart. Many people are overweight because they eat high-fat foods and avoid exercise. Some people who experience weight gain due to pregnancy and increase their age find it difficult to go back to exercise. No matter how heavy you are, high-fat foods and lack of exercise can damage the arteries and weaken your heart. In addition to contributing to high blood pressure, excess cholesterol, glucose intolerance, and obesity are associated with an increased risk of heart disease, according to a recent study in the European Heart Journal. 1 Response to "The relationship between Obesity and Heart Disease"